In the present world of cricket, there may be a lot of good players, but there are only limited ones who rise above exceptional standards. 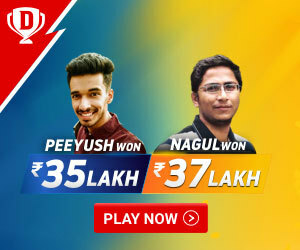 One among them is Virat Kohli– the current captain of the Indian cricket team. Virat was just three years old when he took up the cricket bat for the first time. From there began his journey towards becoming one of the best cricket players in the world. The journey was never an easy one. He had to face a lot of odds throughout, but made his way through all the adversities like a pro. Born on 5th November, 1988 to a Punjabi family in Delhi, Kohli started his schooling at Vishal Bharati Public school. Prem Kohli, Virat’s father was a criminal lawyer and Saroj Kohli, his mother is a housewife. He is the youngest among his siblings with his sister Bhawna Kohli and brother Vikas Kohli. He joined the West Delhi Cricket Academy when he was just nine years old, and at the age of fourteen, he went to Saviour Convent in Paschim Villa to get more advanced training in cricket. At this very age, he played for the under fifteen cricket team of Delhi and was awarded the highest runs scorer title by Ashish Nehra. At the age of 18, he was picked up for the under-nineteen tour of England. During one of his four-day test matches, his father got admitted to a hospital in Delhi. His father died shortly due to brain stroke. On the same day of his father’s demise, Virat Kohli departed for England in order to participate and help his team to victory for the scheduled test match. This is just one among the many acts of commitment showcased by Virat. In 2008, the under- 19 cricket team of India won the ICC U-19 Cricket World Cup under the captaincy of Virat Kohli. After a stunning performance in the IPL, Virat got selected to represent the Indian cricket team in a One Day International [ODI] match against Sri Lanka in August of 2008. The initial performance of Kohli was not up to the mark and therefore he was dropped from the national squad shortly after making his debut. After being dropped, Virat then got participated in domestic tournament which took place in Australia. Fortunately, he scored the highest runs in the tournament as a result of which he got selected in the India team again. From that very moment, Virat’s performance has been nothing short of incredible for his national side. As of now Kohli hold multiple records in international cricket as well as the IPL. 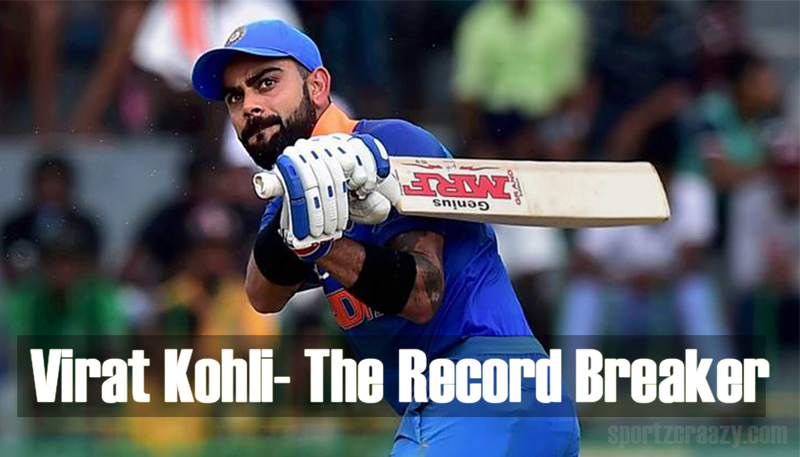 Speaking of records, Kohli currently holds the record for the most number of ODI centuries among all the Indian captains. His 160 not-out is the highest individual score by an Indian batsman against South Africa. He is the faster player to have reached 5,000 runs in ODIs and is also the faster cricketer to have scored 15,000 accumulated runs in all the formats of the sport. In 2013, he was ranked as the Number 1 Batsman in the ICC’s ODI rankings for the first time. He was rank eight on ESPN’s survey list of world’s most famous athletes in 2016. In world twenty20 as well as in IPL, Kohli holds the record of most runs in a single tournament. He has won everything which a cricketer dreams of achieving. He is the second batsman to have scored 1000 or more ODI runs for four consecutive years. He has very aggressive and strong batting skills. He is known for his aggressive nature on the field and his dedication towards the game off it. His determination to stay fit and be ready even during the off-season reflects a lot upon his love and passion for the sport. He usually bats in the middle-order with a slightly open-chested stance and strong bottom-hand grip. The flick shot and cover-drive are his favorite shots. Moreover, he is known for his sharp fielding skills as well. 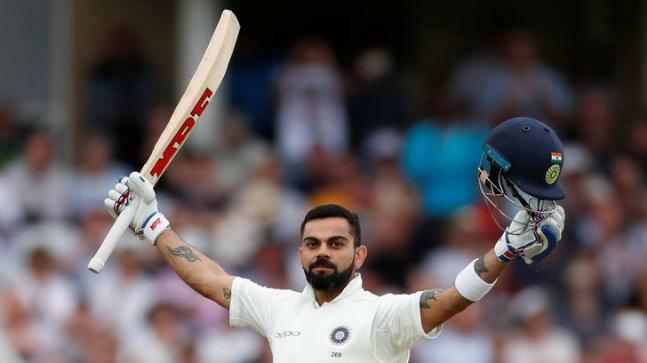 Kohli shares a lot of resemblance in terms of his batting style with the legendary Sachin Tendulkar due to which people like compare both of them frequently. 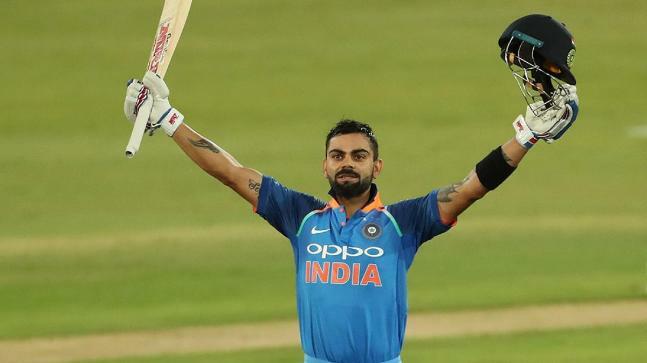 There is also a high expectation on Kohli to beat Sachin’s records as people strongly believe that he has got the potential as well as the skills. He has agreed quite a lot of times that Sachin was his role model and as a child. He is known by two names in his international profession- King Kohli and Run machine. Virat Kohli is quite a charmer and go-getter. He has a long list of female fans. Even though a couple of relationships did not work out for him, he finally met the love of his life Anushka Sharma a Bollywood actress whom he married in 2017 in Italy. With his performance on the pitch, Virat Kohli’s stature off it has continued to rise. He draws in more crowd than any other famous Bollywood of Hollywood celebrity. He has started a charity foundation called the Virat Kohli Foundation which aims to raise funds for underprivileged children by organizing various events. He co-owns FC Goa in the ISL [Indian Super League] as he is also a football fan, and supports the German soccer team religiously. He also co-owns the IPTL franchise UAE Royals and the PWL team Bengaluru Yodhas. Kohli also has 20 brand endorsements under his belt as well. Virat Kohli won many awards in his professional life including Padma Shri in 2017 and Rajiv Gandhi Kehl Ratna in 2018. He had to experience a lot of adversities at a very early age of his life, and it is only for hard work, determination, and commitment that he has reached where he is today. He is deeply respected and admired by millions all around the world. He owns an insatiable appetite, and that is what is pushing him forward in setting new standards and goals. The standards maintained by him cannot be emulated easily. Presently 29 years old, the cricketer is already a star and has all the qualities to become a true great of the game.